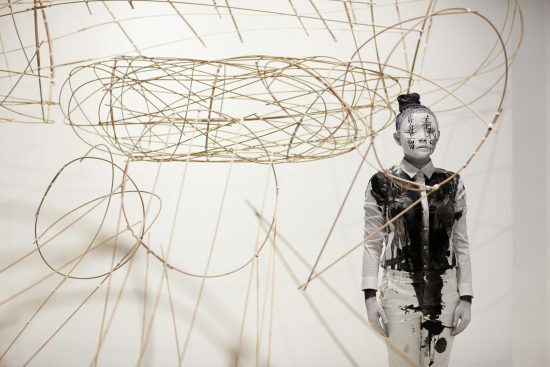 Echo Morgan (Xie Rong), Hair Painting, 2011, documentation of performance. Courtesy of the artist. 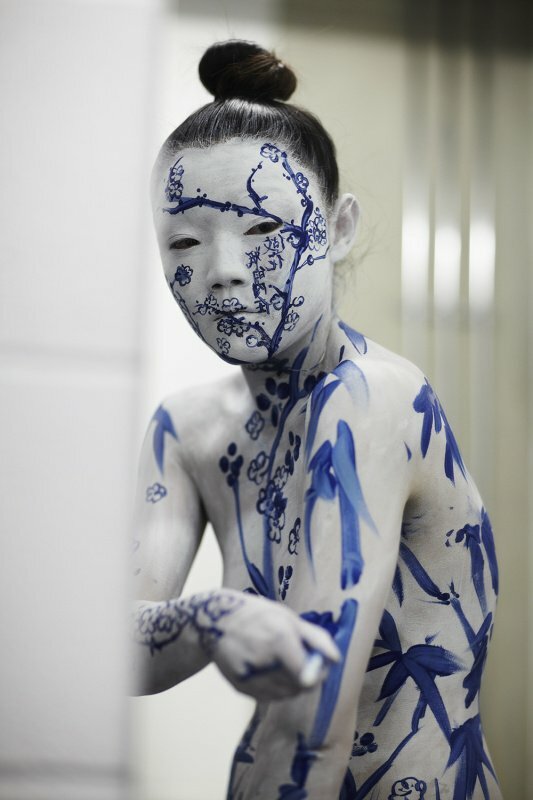 Echo Morgan (Xie Rong), Be the Inside of the Vase, 2012, documentation of performance, photograph by Jamie Baker. Courtesy of the artist. Echo Morgan (Xie Rong), You Have My Blood In You 2, documentation of performance. Courtesy of the artist. Echo Morgan (Xie Rong), You Have My Blood In You 1, documentation of performance, image. Courtesy of the artist. Educator, writer, blogger, researcher, Sinophile and (sadly) bad student of Chinese, Luise Guest worked as an art teacher in Sydney before being awarded a NSW Premier’s Scholarship in 2010 to research contemporary Chinese art and art education. Whilst in Beijing, Shanghai, Guangzhou and Hong Kong she interviewed more than twenty artists, curators, and artworld figures. Since that first trip she has been writing regularly about Chinese art for numerous print and online journals, returning often to China. Her first book, "Half the Sky: Conversations with Women Artists in China", was published in 2016 by Piper Press. She is currently Director of Education and Research for the White Rabbit Collection of contemporary Chinese art, and her current research is focused on women artists who subvert the conventions of ink painting. When I saw images from Morgan’s 2017 Hong Kong show, 家 Home, I was intrigued. 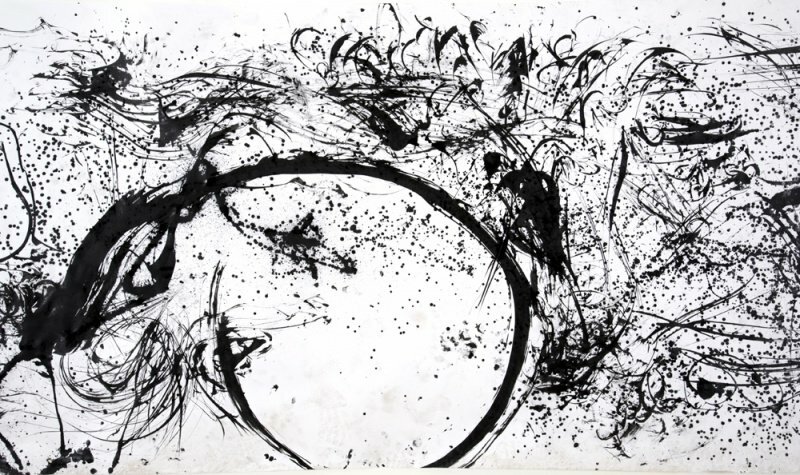 The exhibition featured a re-enactment of her 2011 work, I Am A Brush, in which she ‘wrote’ calligraphy with Chinese ink using her own long hair. The result of the original performance was an 11-metre long scroll covered in abstract marks, later cut into five pieces for the exhibition. It’s a wry comment on the red-hot market for ink painting and the fashion for Chinese traditions, but it’s also the result of a very personal ritual of loss and sadness. I found Morgan through the Hong Kong gallery, and we met in London late last year. Over coffee in the hushed surrounds of the British Library tea room, she told me about her life and work. Luise Guest is an educator, writer, blogger, researcher, Sinophile and (sadly) bad student of Chinese, Luise Guest worked as an art teacher in Sydney before being awarded a NSW Premier’s Scholarship in 2010 to research contemporary Chinese art and art education. Whilst in Beijing, Shanghai, Guangzhou and Hong Kong she interviewed more than twenty artists, curators, and artworld figures. Since that first trip she has been writing regularly about Chinese art for numerous print and online journals, returning often to China. Her first book, “Half the Sky: Conversations with Women Artists in China”, was published in 2016 by Piper Press. She is currently Director of Education and Research for the White Rabbit Collection of contemporary Chinese art, and her current research is focused on women artists who subvert the conventions of ink painting.